Chances are you’ve experienced shoulder pain at some point in your life. Our Oakville Acupuncture Team has seen and heard it all when it comes to shoulder and rotator cuff injuries in Oakville. Whether it was a sports injury, an overuse injury (we’re looking at you, mechanics, line workers, manual therapists), a lifting injury (helping friends move is the worst) or just a freak accident or slip-and-fall, shoulder pain can really interfere with our normal routine. There are 4 muscles that make up our ‘rotator cuff’. These muscles move are responsible for lifting, extending and rotating our shoulder joint. Repetitive strains, heavy lifting or a slip-and-fall can strain these muscles. Through proper assessment, our Oakville Chiropractors can pinpoint which muscle is causing the problem and develop a plan to get your shoulder healthy again! 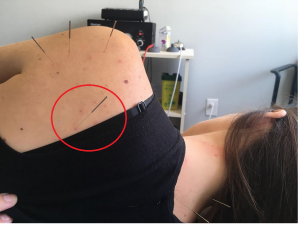 Soft tissue work, shoulder mobilizations and specific exercises are all important aspects of the recovery process, but did you know acupuncture can also make a HUGE difference in your recovery time? 1 – Placing needles in this area helps to encourage blood flow to the shoulder. When we increase blood flow, we increase the nutrients and oxygen to the shoulder tissues and therefore promote healing. 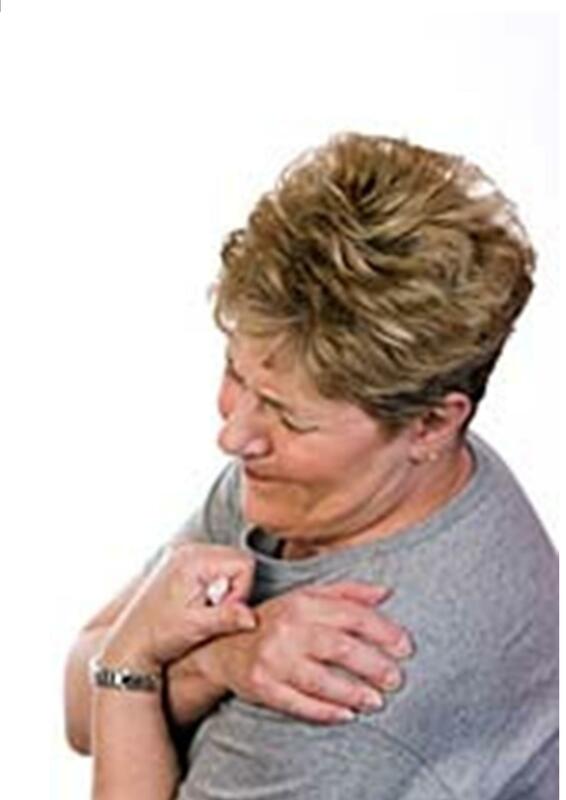 This muscle is one of the most commonly strained muscles in the shoulder. It is responsible to lifting your arm the first 15 degrees, and therefore we use is a lot! There are three excellent points that penetrate this muscle, increasing blood flow and promoting a quicker healing time! These two muscles are located close together, alone the outer rim of the shoulderblade, but they contract to create opposing movements. Often these muscles feel tense and sore when the shoulder is strained, and inserting needles can help relax them! These muscles also create the border of an exit point for your radial nerve. This innervates the back of your arm, forearm and hand! Tight muscles can affect this nerve and cause tingling, numbness or even weakness in the back of the arm. Keeping these muscles loose ensures that the nerve isn’t getting squeezed and irritated to cause arm symptoms! This muscle rotates your shoulder joint outward. Sometimes this muscle can spasm and cause a tight feeling over the shoulder blade. Needles in this location are excellent at treating ‘trigger points’ or tight bits of muscle that cause pain. 4 – When one, or multiple, muscles of the rotator cuff are strained the larger muscles start to do more work to compensate! Inserting needles into the traps is a great way to keep tension in these muscles low, and prevent them from starting to contribute to your shoulder pain! 5 – This hand point is a great pain-reliever for any upper extremity pain! This one little needle can have a calming effect on the three major nerves of your arm and forearm! Acupuncture treatments will vary depending on the injury and the muscles that are injured. Each treatment is tailored to the individual and their injury. It is so versatile, and is an excellent addition to any rehabilitation plan for shoulder pain! Come see Dr. Jenn to start your acupuncture treatment today!